A floor for all seasons, carpeting has the uncanny ability to transform some of your favorite spaces. Versatile and vivacious, today’s carpeting is offered up in a myriad of styles, textures, and functional capabilities. Here for all your carpeting needs, Wheat’s Carpet One Floor & Home in Northport, AL is your neighborhood destination for fine flooring and more. When it’s time to install a new carpet, our team of specialists can help you determine which one will best suite your style, space, and specifications. Our carpet collection spans all the latest styles, colors, brands and textures, guaranteeing an ideal solution to beautify your room. We understand the importance of finding a carpet that’s not only beautiful to look at, but one that will maintain its beauty for many years to come. Whether you’re a parent of small children, a pet owner, a business owner, or simply someone who loves to entertain, we believe your carpeting should aptly reflect your needs, and look great doing so. Your new carpeting can be a serious investment, so we highly encourage you to take a long, thoughtful assessment of your space well before making your purchase. Do you or your family members suffer from allergies? Are you in the habit of hosting large gatherings? Or, perhaps you need sturdy flooring for your office space? Making a list of all your functional needs, as well as your style requirements, is an excellent initial step in your shopping journey. The fiber in your new carpeting holds the cards in determining overall texture, function, and appearance. There are five major types of carpet fiber: level loop, patterned, textured, frieze, and plush. Thanks to modern innovation, there are more carpet varieties than ever before and that means there’s carpeting fit for many different settings. For your bedroom or den, there are soft and supple carpet varieties that add warmth. For a hectic commercial area, or your home’s hallway, a resilient and durable carpet is recommended. Stain-resistance, on the other hand, is a key feature for carpets intended for environments with toddlers or pets. One thing to keep in mind is that carpeting shouldn’t be installed in kitchens or bathrooms, due to the ongoing moisture factor. 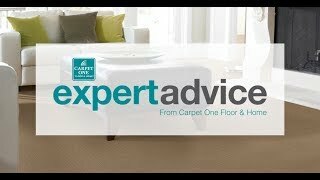 As members of Carpet One Floor & Home, which is the world’s most expansive cooperative of independent flooring stores, we offer up the purchasing power of over 1,000 respective stores. We carry all your favorite carpeting brands, along with impressive Carpet One exclusive brands that aren’t available at your local big box store. You’ll love our competitive pricing, impressive warrantees, and local-centric services. Let us be your first and last stop when it’s time to pick out your perfect carpeting. With a little diligence on your part, you and your new carpet are about to enjoy a long and beautiful relationship with your new carpeting. Here are a few easy guidelines to ensure a bright future for today’s carpet purchase. When it comes to your carpeting, what lies beneath is just as important as what you see on the surface. Your carpet padding will determine the lifespan of your carpeting, setting a firm foundation for a long and happy life. Understanding the distinctions between the various carpet styles is critical in selecting a rug that will perform its best in your unique space. There’s a carpet style that’s fit for almost any setting and purpose.